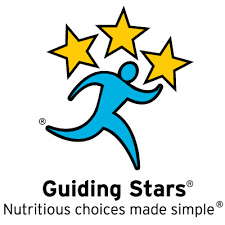 A recent study has found that the Guiding Stars nutritional rating system may have a dual benefit for grocery customers and businesses. The study, published in September in “The Milbank Quarterly” peer-reviewed journal, found that grocery shoppers purchased more foods higher in fiber and omega-3 fatty acids, as well as those with less trans fat and sugar in grocery stores that used the Guiding Stars system. Additionally, stores that used Guiding Stars reported higher sales and revenue. The report is the first of its kind to confirm such a business impact. "Unhealthy diets are a top risk factor for chronic disease worldwide, so it makes sense for public policymakers to explore interventions that inspire consumers to make better choices," Jim McBride, director, Guiding Stars Licensing Company, said in a press release. "As this groundbreaking investigation shows, not only does the Guiding Stars system help consumers make small but significant positive changes in their nutritional choices, supermarkets also benefit through higher revenue." The effect of Guiding Stars on customer purchases varied based on food categories. The greatest benefits were seen among fresh foods such as fruits and vegetables, meat and fish and dairy, as well as grains and cereals. "The study adds to the evidence that the simple and clear Guiding Stars program can help shoppers make healthy choices when purchasing groceries," said Alison M. Duncan, Ph.D., R.D., a professor at the department of human health and nutritional sciences at the University of Guelph and a Guiding Stars advisor. "Although the shopper shifts toward purchasing foods with higher nutritional quality were small in this study, small changes in behavior over time are realistic and contribute to a healthy lifestyle." The survey wasn’t all good news, however. Nearly half of surveyed consumers expressed confusion when asked to interpret certain Guiding Stars ratings, indicating that grocers that want to implement the rating system should first educate their customers on how it works. The study was conducted across three supermarket chains in Ontario and included exit interviews with nearly 800 shoppers about their purchases.